What is Google’s PageRank and Why is it Important? Home » Search Engine Optimization » What is Google’s PageRank and Why is it Important? Well this is an easy question. Not only can we answer it easily and quickly but we can point you to a few tools that can help you measure the pagerank of any web site you view in your browser. Immediately following that answer the first thing clients want to know is “What’s my web site’s PageRank?” Ahh, how easily we miss the details. PageRank isn’t for web sites, it’s for individual pages. Well to find out what the PageRank (PR) of the pages that make up your web site and any web page you may be curious about you have a few options depending on which browser you’re using. It matters not what web browser tool, they’re add-ons that measure PageRank of web pages and displays it using the web browser. 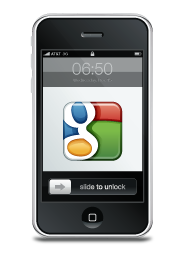 It should be easy to find those made by Google and third party ones that most consider better than Google’s own. The second question everyone asks is “How can I improve my PageRank?” and/or “How is a page’s PageRank determined?” Well basically PR can be increased by increasing the number of websites that link to your website. Basically each of these counts as a vote. the higher the PR of the page that has a link to you and the less links they have on that page the more PR you’ll get. PageRank is determined by a mathematical formula (an algorithm) that Google has patented. To answer that we say there are a few different building blocks to search engine ranking success. Your Link Profile is one of them. Google PageRank is Google’s measure of several factors, but overall it’s a great easy to use tool to measure the strength of your Link Profile.